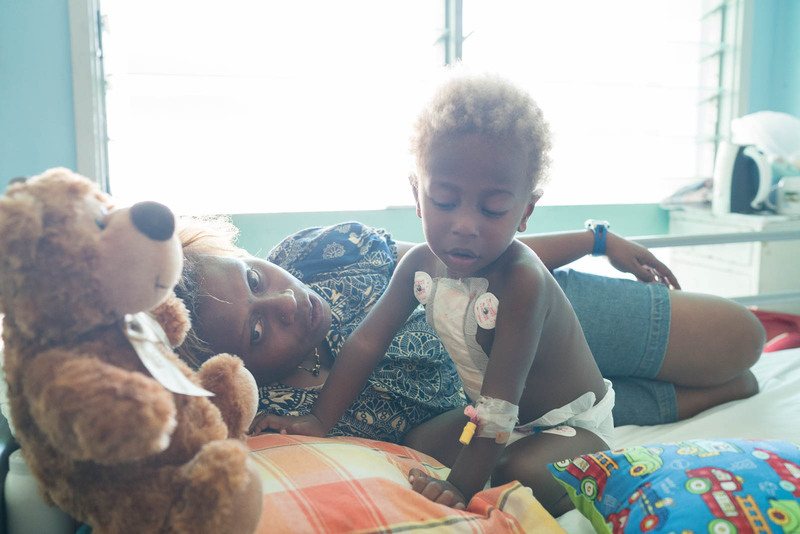 Prince enamored the OHI ward staff when they met him on the peadiatric ward as patient waiting for surgery. The pictures of him playing with the other kids were a big hit on the OHI blog and social media. 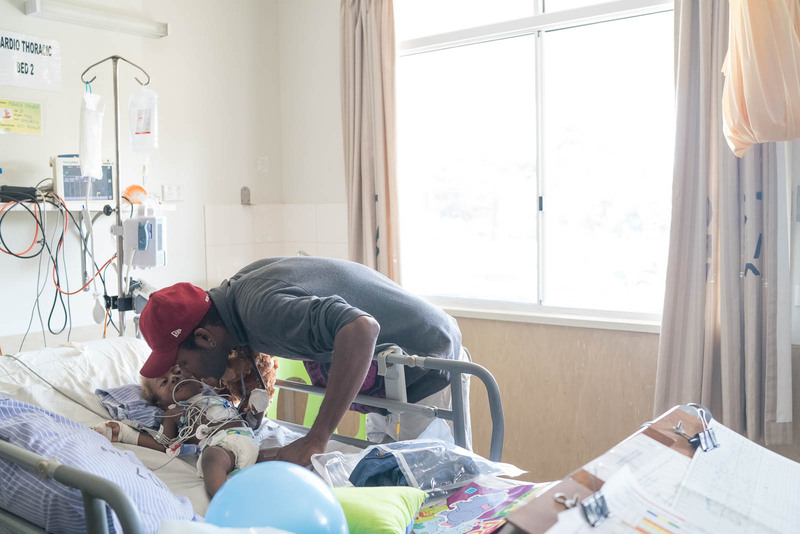 Prince came straight onto the ward the next day making friends, kicking inflatable bowling pins, running around and playing constantly. 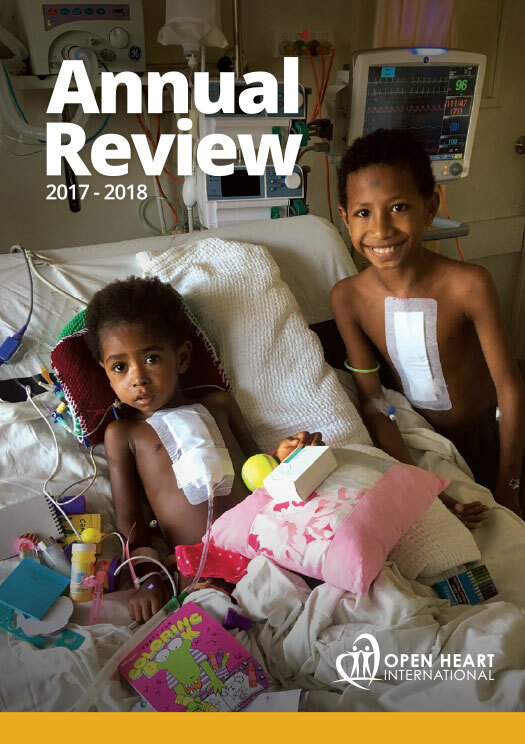 Patients waiting for surgery start their journey (regardless of distance) by coming early to Port Moresby and seeing Dr Scott Fox the team’s cardiologist. In a week Scott usually sees approximately fifty patients and then puts forward their cases to the surgical teams for assessment. As soon as the surgical team land they are straight into the hospital selecting the most time critical cases for surgery. 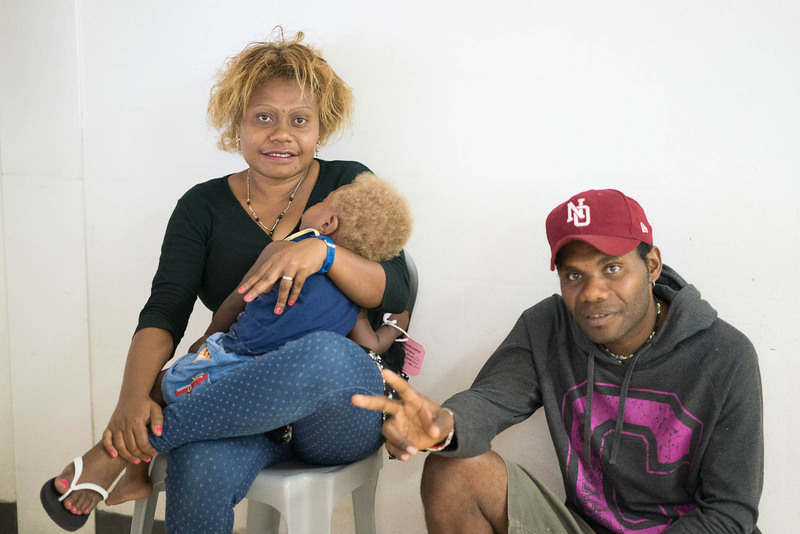 Everyone selected stays at the hospital and waits for their scheduled surgery. Wednesday saw Prince’s turn in theatre and he rested with his parents, Veronica and Steven while waiting to go in. Veronica and Steven are friendly people who work for a local airline. While of course anxious waiting for his surgery they both had a lot of smiles and were looking forward to Prince’s turn. In the operating theatre a parent can come in and stay with the patient until they go under anaesthetic. Prince himself was not as into the process as others might be but his dad did a great job of helping the team out and Prince was ready for surgery. With a kiss on the cheek hs dad left and prince in Dr Noah Tapau’s capable hands. I am personally not very proficient at explaining the complexities of heart surgery as others on the team, so I’ll skip to the next part in the story. Just imagine a montage of surgeons working to the soundtrack of Purple Rain. 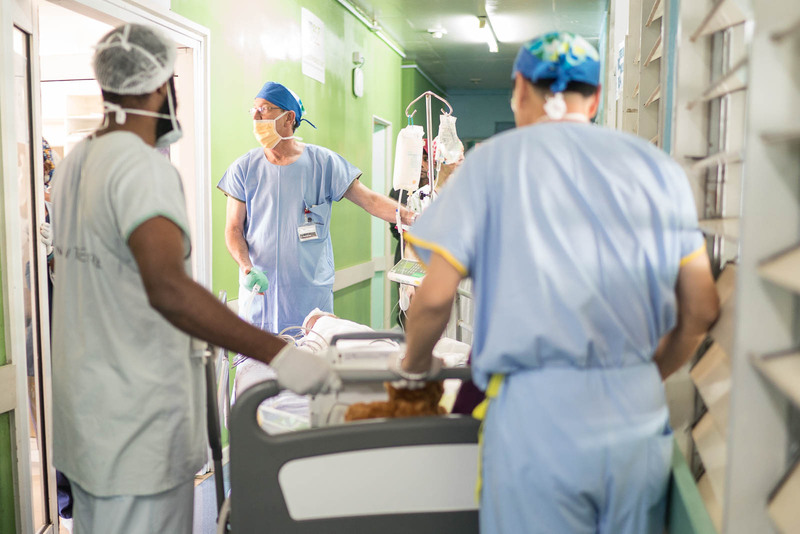 With another successful open heart operation complete and another saved life, the theatre team move the patient into the Intensive Care Unit. Here local staff assisted by OHI ICU staff; Sam Willis, Simon Erickson, Hannah Stapleton and Louise Kenneally all do their part in the next stages of patient care. Later in the night it will be up to Lexie Millar to do the night shift and make sure Prince is well taken care of. 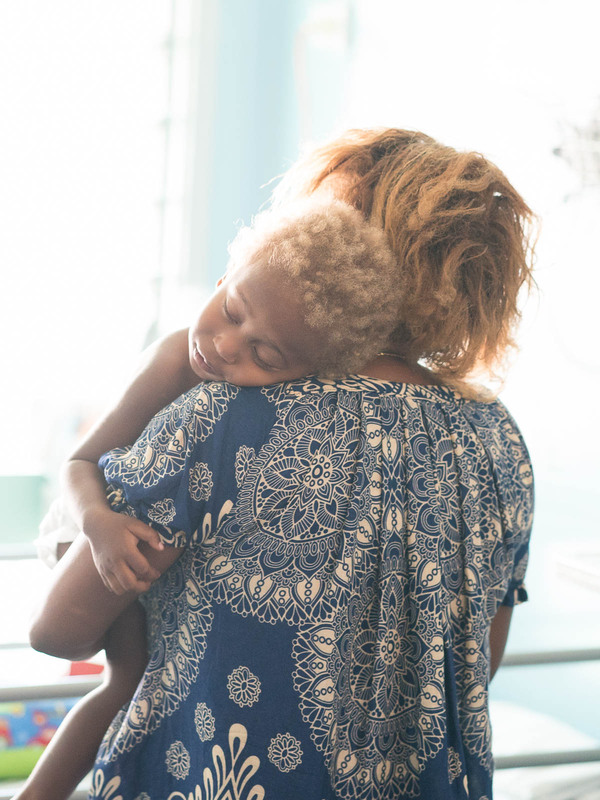 Through ultrasounds, xrays and close monitoring patients have most of their drains removed that are required after surgery and are ready for the ward. Next day Prince is moved to the ward, so with some bed shuffling Prince and his parents have a new space to rest. 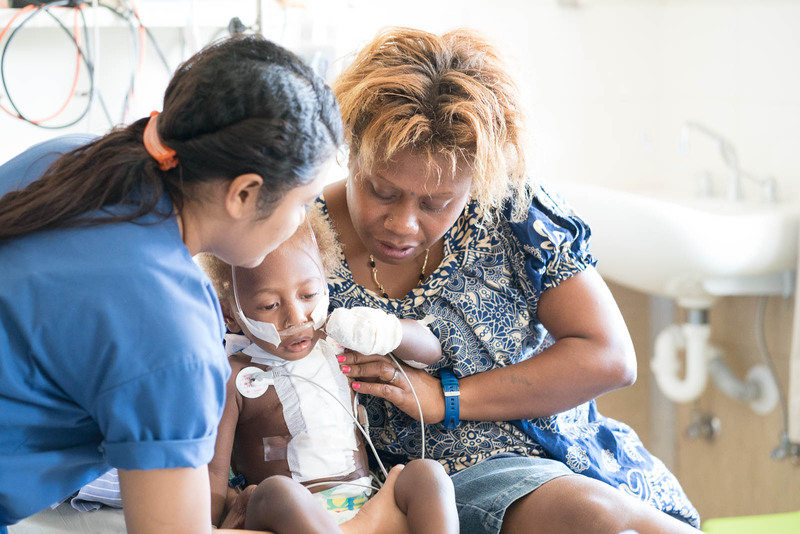 Thursday is a warm day on the ward and Prince is spending the day sleeping while Steven and Veronica (his parents) stay by his side with the goal of keeping him cooler. The next couple of days will see Prince moving around more and more and joining the others in playing on the ward. So Prince has some physio work with Katie to look forward to which means lots of bubbles, bowling and basketball!